Football injuries come in all shapes and sizes. And none of them are good. But for Justin Samples, the hit he took in the Fall of 2016 proved to have a silver lining. 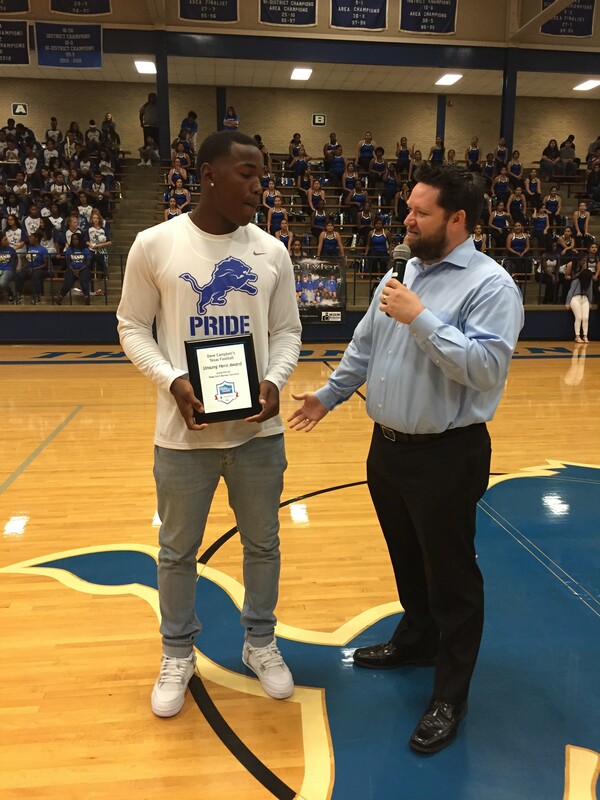 Samples was a star running back for the talent-rich John Tyler Lions. His mailbox was starting to overflow with college offers. Then came the hit against North Mesquite. What originally looked like a concussion was later diagnosed by the Lions’ astute training staff as something else. A subsequent evaluation revealed a degenerative issue that could have caused even greater harm had it been left undiagnosed. Justin lost football after that diagnosis, but he certainly didn’t lose the love of his team and vice versa. He’s been a staple around practice and the locker room and as Coach Holmes explains he’s quickly become an even greater team leader than before.